Be sure to enjoy recreational amenities including an outdoor pool and a spa tub. Additional features at this hotel include complimentary wireless Internet access, a fireplace in the lobby, and complimentary use of a nearby fitness facility. Enjoy Italian cuisine at NOW Ventura, a restaurant which features a bar, or stay in and take advantage of the room service (during limited hours). A complimentary breakfast is included. 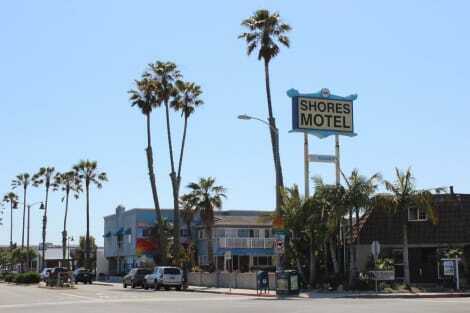 When you stay at The Shores Inn and Beach Houses in Ventura, you'll be by the ocean, within a 10-minute drive of Ventura Harbor and Ventura Pier. This motel is 20.6 mi (33.1 km) from Los Padres National Forest and 2.6 mi (4.1 km) from Ventura City Hall. With a stay at Comfort Inn Ventura Beach, you'll be centrally located in Ventura, a 3-minute drive from Ventura Pier and 5 minutes from Ventura Harbor. This hotel is 20.4 mi (32.8 km) from Los Padres National Forest and 1.8 mi (2.9 km) from Ventura City Hall. Make yourself at home in one of the 69 individually furnished guestrooms, featuring refrigerators and microwaves. Complimentary wireless Internet access keeps you connected, and cable programming is available for your entertainment. Bathrooms have shower/tub combinations and hair dryers. Conveniences include desks and complimentary newspapers, as well as phones with free local calls. Grab a bite to eat at Pacifico Restaurant & L.., a restaurant which features a bar, or stay in and take advantage of the room service (during limited hours). Buffet breakfasts are available for a fee. lastminute.com has a fantastic range of hotels in Ventura, with everything from cheap hotels to luxurious five star accommodation available. We like to live up to our last minute name so remember you can book any one of our excellent Ventura hotels up until midnight and stay the same night.